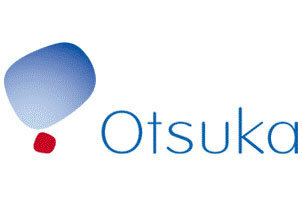 TOKYO & REDWOOD CITY, Calif.--(BUSINESS WIRE)--Otsuka Pharmaceutical Co., Ltd. (Otsuka) and Proteus Digital Health® (Proteus) today announce that the United States Food and Drug Administration (FDA) has acknowledged receipt of the New Drug Application (NDA) resubmission for the drug-device combination product of ABILIFY® (aripiprazole) embedded with a Proteus ingestible sensor in a single tablet. The NDA resubmission will now be reviewed by the FDA, with an anticipated action date by the agency in the fourth quarter of 2017. If approved, this Digital Medicine would securely measure patient medication-taking patterns, as well as select physiological data and self-reported behavioral information. This information would help enable individuals along with their healthcare professional team to better manage their serious mental illness. With the patient’s consent, this information could be shared with their healthcare professional team and selected family and friends, with the goal of allowing physicians to be more informed in making treatment decisions that are specific to the patient's needs. This Digital Medicine would be used in the treatment of adults with schizophrenia, acute treatment of manic and mixed episodes associated with bipolar I disorder, and as adjunctive therapy for the treatment of major depressive disorder. This Digital Medicine is comprised of FDA-approved ABILIFY with the only FDA-cleared ingestible sensor, the size of a grain of sand, embedded inside a single tablet at the point of manufacture.3 The Proteus ingestible sensor activates when it reaches stomach fluids and communicates with the patch, which is a wearable sensor that detects and records the ingestion of the ABILIFY tablet, and select physiological data, such as activity level. A mobile patient application, or medical app, displays the data collected by the patch to allow individuals to review their objective medication intake and activity level, as well as enter self-reported measures of rest and mood. A web-based portal for healthcare professionals and selected family and friends displays this information for the duration of treatment. Discovered by Otsuka Pharmaceutical Co., Ltd., ABILIFY was the first available dopamine partial agonist and is indicated for the treatment of schizophrenia in adults, for the acute treatment of manic or mixed episodes associated with Bipolar I Disorder as monotherapy and as an adjunct to lithium or valproate in adults, and for use as an adjunctive therapy to antidepressants in adults with Major Depressive Disorder who have had an inadequate response to antidepressant therapy. ABILIFY tablets are available in 2 mg, 5 mg, 10 mg, 15 mg, 20 mg and 30 mg strengths. The Proteus ingestible sensor and wearable sensor patch have been cleared by the Food and Drug Administration (FDA) for use in the United States, CE marked per the Medical Device Directive for use in the European Union and approved by the CFDA for use in China. More information is available at www.proteus.com. Headquartered in Redwood City, Calif., Proteus is privately held and funded by leading institutional and corporate investors, including: Novartis, Otsuka, Medtronic and Kaiser Permanente. For more information, visit www.proteus.com. Connect with us on Twitter @ProteusDH. 1 Rohatagi S et al. Optimization of a Digital Medicine System in Psychiatry. J Clin Psychiatry 2016;77(9):e1101-1107. 2 U.S. Food & Drug Administration. Premarket Information - Device Design and Documentation Processes. https://www.fda.gov/MedicalDevices/DeviceRegulationandGuidance/HumanFactors/ucm119190.htm. Updated 9/15/2016. Accessed April 11, 2017. 3 U.S. Food & Drug Administration. 510(k) Premarket Notification. https://www.accessdata.fda.gov/scripts/cdrh/cfdocs/cfpmn/pmn.cfm?ID=K133263. Accessed April 21, 2017.